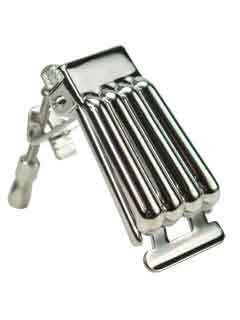 A reissue of the popular Clamshell model tailpiece found on vintage models. Triple nickel-plated brass. Accomodates loop-end strings.